Full Sail Partners, a Deltek Platinum Partner and Client Feedback Tool Premier Partner, is pleased to announce the addition of Lindsay Diven, CPSM to the consulting services team. Lindsay has joined the firm as a senior Deltek Vision CRM consultant. In this position, she will work with clients to implement Deltek Vision’s CRM, Custom Proposal, and SF330 modules, as well as the Client Feedback Tool. Lindsay comes to Full Sail Partners with 12 years of marketing and business development experience in the AE field. Using Deltek Vision, Lindsay has worked with both marketing and business development teams to implement business strategies and manage client data in pursuit of increasing sales opportunities and win rates. 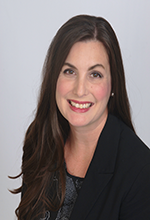 Additionally, her active involvement both with the Society for Marketing Professional Services (SMPS) and the Deltek Vision Central Florida Users Group ensures Lindsay keeps a pulse on the AE industry. The Full Sail Partners’ CRM consultant acts as a trusted advisor for all clients. This consultant focuses on evaluating the client's existing software solution to develop a training strategy that is unique to each client experience. In this role, Lindsay will leverage her knowledge to ensure our clients continue to be successful long into the future. "When asked who would be an ideal candidate to be a CRM consultant, a hand full of names came to mind," stated Sarah Gonnella, VP of Marketing & Sales. "Amazingly the stars aligned and I am ecstatic to have Lindsay join the Full Sail Partners’ team. A strong Deltek CRM expert, demonstrated leader in the industry, and overall marketing and business development guru, our clients will gain an outstanding consultant in Lindsay to help grow their business."